Birch and beech are similar in color and in the applications they're used for. The majority of both species are grown and harvested east of the Mississippi River. The density difference between the two woods is almost imperceptible: On the Janka scale, which rates wood for density, beech scores 1,300 and the most common variety of birch scores 1,260. A grove of birch trees. A man is pointing to the center of the tree. Heartwood comes from the center of the tree and is reddish brown; sapwood is the name of the surrounding layers, which are typically white or off-white. The majority of birch and beech lumber distributed in the United States is a mixture of heartwood and sapwood. The two resulting colors form streaks or patterns, some occurring on the same board. Birch typically shows more sapwood than beech, particularly in the case of birch veneer or plywood. 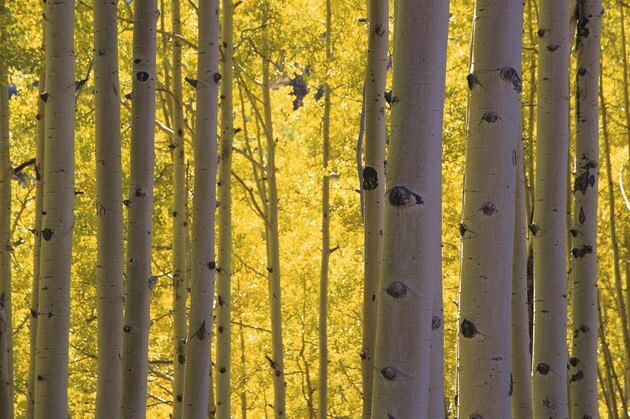 Birch trees are scattered throughout the United States. Paper, river, gray and red birch are among varieties not typically included in the lumber category. 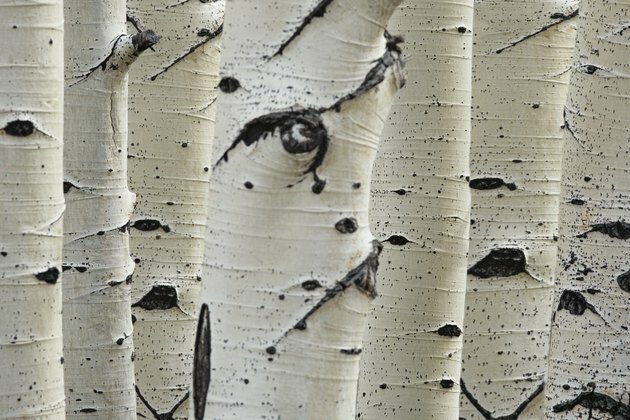 Three varieties of birch are commonly used as lumber -- white, yellow and sweet. Some lumber dealers differentiate between the three, with white birch considered more exclusive. White birch trees range slightly farther north, where growing seasons are cooler. Because it grows slower than other varieties, white birch produces tighter, more dense grain patterns than yellow or sweet birch. The term "birch" is often used generically and applied to all three varieties. Birch is considered more valuable than beech. Birch and beech have evenly distributed pores that can be hard to distinguish with the naked eye. Patterns in beech are easy to distinguish; you'll see more dominant grain patterns and more swirls than in birch. 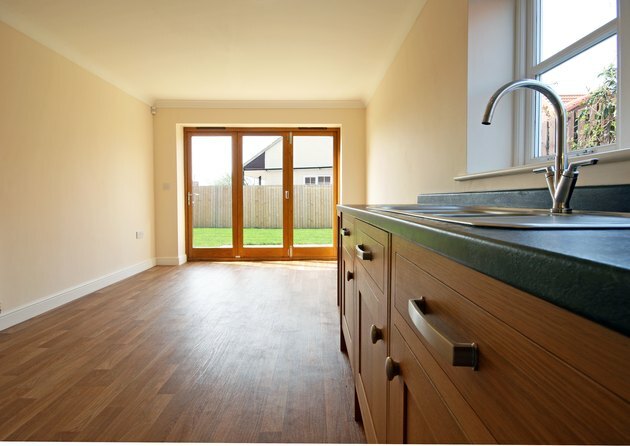 Birch is very uniform and straight, and typically lacks distinctive grain patterns. When milled into larger boards, beech tends to have more knots and defects than birch. Beech is more likely to suffer from decay than birch; it also may show mineral discoloration or "spalding," which is a type of decay or fungus. Beech wood, even though there are scientifically designated variations in species, is generically clumped into one lumber category and referred to simply as "beech." Interior shot of new beech cabinets. Birch and beech are both hard to cut. Both have a dulling effect on saw blades, so carbide-tipped blades are recommended. Birch has more value as a veneer than beech -- typified by the popularity of birch plywood used for cabinets, which rank among the most affordable, most widely used cabinets in the United States. Their popularity is thanks, in part, to the mixture of brown heartwood with lighter colored sapwood that adds contrast to the plywood. 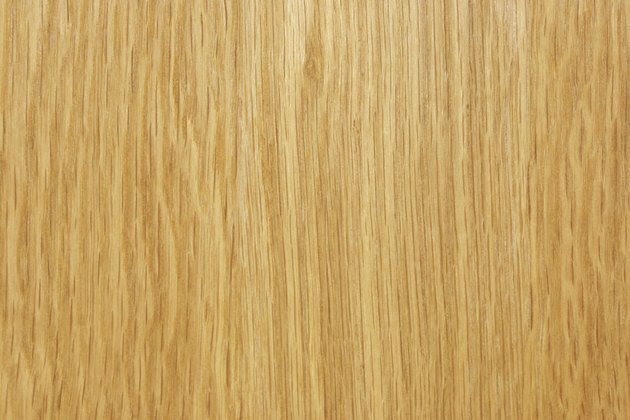 Beech lumber is commonly used for handles, knobs, turnings and specialty handles. Some furniture makers prefer beech for chairs and parts of furniture that curve. Birch is more popular than beech for interior trim work, such as doors, millwork and flooring.